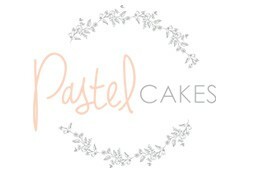 Pastel Cakes is currently closed for delivery and it will open at . Our Chocolate moist cake is layered with chocolate ganache that's bursting with hazelnut filling. Definitely a chocaholic's delight! The absolutely divine Red Velvet Cake is packed with velvity cream cheese filling, sure to shake up your senses! Our layered vanilla sponge cake is complimented with our light creamy vanilla custard buttercream, perfect for any occasion! Our Vanilla sponge cake, carefully layered with crunchy biscuit pieces and custard cream salted caramel filling. A perfect mix of sweet & salt, tantalizingly delicious! Our delicious moist chocolate sponge cake is filled with hazelnut chocolate ganache, surrounded with Kitkat bars and finished with chocolate rose swirls on the top. This delicate crepe cake is made of thin layers of crepe stacked neatly and filled with hazelnut cream. A French classic, simple crepes are stacked with fresh strawberries and filled with the most luscious cream. A delicious Biscoff Cheesecake, with a Lotus Base, sprinkled with more biscuits. The creamiest Blueberry cheesecake of all! Rich cheesecake sits on biscuit crust, topped with homemade blueberry glaze! Chocolate moist cupcakes are topped with rich chocolate hazelnut ganache. Bright red red velvet cake topped with rich cream cheese buttercream. Bright red red velvet cupcake topped with rich cream cheese buttercream. Vanilla Cupcakes topped with Custard Cream salted caramel filling and finished with a drizzle of salted caramel sauce! Vanilla moist cupcakes are topped with light cream vanilla buttercream. A no bake cheesecake! This dessert has a cream cheese filling with a base of delicious oreo crust and topped with crushed oreo cookies. This dessert will leave you in wonder! A Lotus biscuit base layered with a vanilla pudding and finished with salted caramel drizzles! This dessert is a definite showstopper! This Banoffee dessert is a Banoffee pie in a trifle form. A biscuit base with layers of Banana & vanilla whipped cream. Finished with salted caramel sauce. Chocolate cake crumbs with chocolate ganache dipped with chocolate coating. Bites of heaven! Red Velvet cake with rich cream cheese filling and dipped with white chocolate coating. Cookie dough chocolate chip that is dipped in chocolate coating! Vanilla Cake with lotus speculous crunch and coated in white chocolate dip. Our Chocolate moist cake slice is layered with chocolate ganache that's bursting with hazelnut filling. Definitely a chocaholic's delight! The absolutely divine Red Velvet slice cake is packed with velvity cream cheese filling, sure to shake up your senses! Our layered vanilla sponge cake slice is complimented with our light creamy vanilla custard buttercream, perfect for any occasion! Our Vanilla sponge cake slice, carefully layered with crunchy biscuit pieces and custard cream salted caramel filling. A perfect mix of sweet & salt, tantalizingly delicious! This Banoffee dessert is a Banoffee pie in a trifle form. A biscuit base with layers of Banana & vanilla whipped cream. Finished with salted caramel sauce. A dessert in a cup with a twist! This KitKat cake screams Easter: Chocolate Hazelnut overload with a Chewy Chocolate mini eggs all over its top: it'll make you a hero this Easter!